DEVELOP CUSTOM APPS & TURBO CHARGE YOUR BETTING STRATEGY! Integrate Betfair data and betting operations into any kind of application, on any platform. We have the API's, data and tools you need to develop rich, customised betting interfaces for your own use or to distribute to customers. Create automated betting systems or custom interfaces with the Exchange API. Read market data, place bets, check current bet details and more. Enable Betfair Exchange betting on your website using the Vendor Web API and Exchange API. Build your own trading interface, customised to suit your own trading needs. Publish Betfair odds on your website as part of our Affiliate Programme. The Betfair Historical Data service provides time-stamped Betfair Exchange data for purchase & download. Access historical Betfair Exchange price & market data. View details of historical market settlements. Custom filter data prior to download. Back test your strategy before going ‘live’. Experiment with new sport/market types. 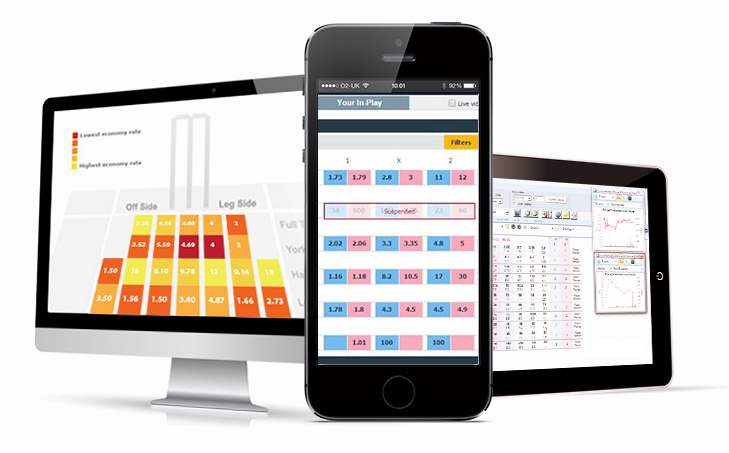 The Timeform API is available to Betfair customers to access premium content for private or commercial use. It is a REST API that allows you to programmatically retrieve data from the Timeform database. Since the company was founded in 1948, Timeform’s opinions have widely been accepted as the definitive measure of racing merit and indispensable for betting punters. In the past few years Timeform has increased it's output considerably so that data and content is available for different depths of sophistication – all of which are ready to meet your bespoke needs. *Free for personal use, for commercial use we have a range of options.